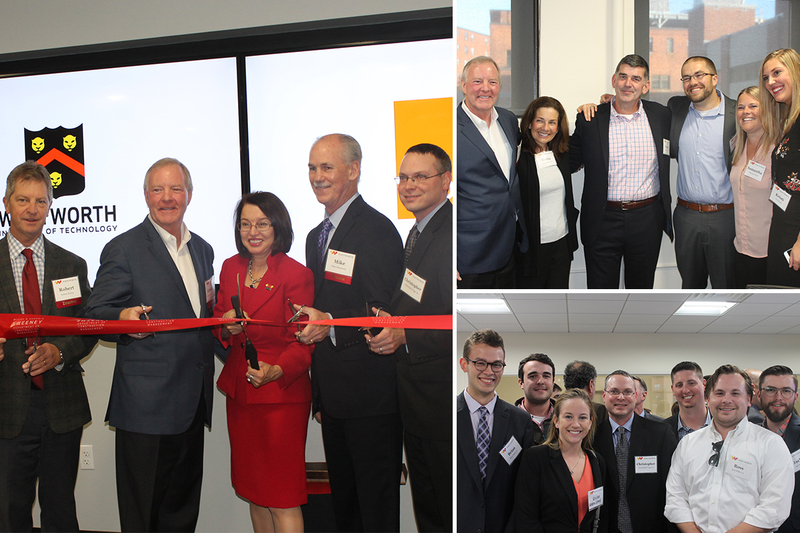 (Boston, MA) – BOND, the Northeast’s premier building, civil, utility, and energy construction firm, today celebrated the unveiling of Wentworth Institute of Technology’s BOND Virtual Design and Construction (VDC) Laboratory. The ribbon cutting event was held with BOND CEO Edward A. Bond Jr., a Wentworth Trustee emeritus and key philanthropist. It was attended by members of the university community and the BOND team, including executives, alumni, and the company’s VDC Department. The BOND VDC Lab is a dedicated, interdisciplinary project and classroom space that brings student teams together in the field of Building Information Modeling (BIM) and the built environment. It features innovative equipment and advanced technology in a flexible, open-spaced setting. The lab will be shared with students and faculty from multiple majors, such as civil engineering, architecture, and the College of Professional and Continuing Education. BOND has a long-standing relationship with the Wentworth alumni community and student co-op program. The company has a corporate philosophy of integrating VDC into all of its projects, and pioneered the use of laser-scanning technologies to help clients build more efficiently in the A/E/C marketplace.